Hello friends! I hope you are having a good week! If you are like me, packages from Black Friday/Cyber Monday are starting to show up and you're looking for this year's present hiding place. I had one gift show up yesterday that had TOY written all over the box! I was scrambling to get it in my closet before one of the kids saw it! Despite that little fiasco, I really am doing my best not to scramble too much this year by getting things done early. I got a lot of my gift shopping done this weekend and I'm working on my Christmas cards this week. I will get them sent this year! 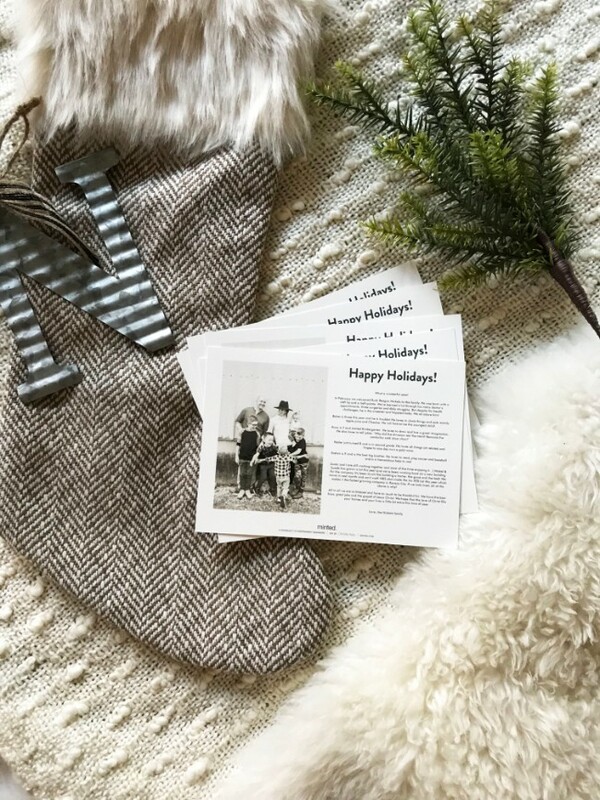 Today I've partnered with Minted to share our holiday cards and why I love designing my cards with them. 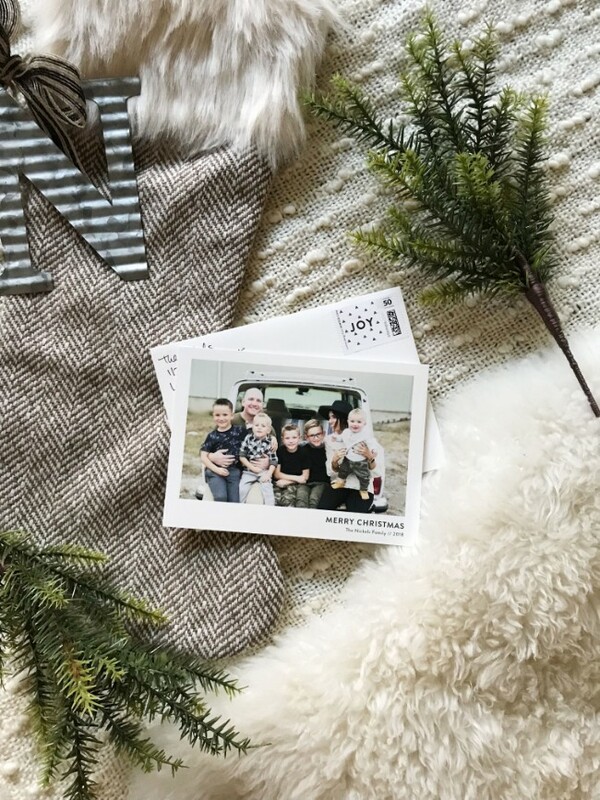 There are several reasons why I chose Minted for our family Christmas cards and I'm betting you'll appreciate them too. 1. They have beautiful designs for all styles. I love that you can filter through the cards by style like "Simple and Minimalist" or "Modern and Edgy". This year we used our family photos for our Christmas cards. 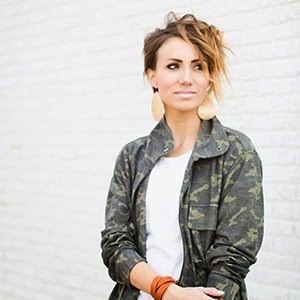 I was very intentional in how I planned our photos so that they would match my home and my style and feel like us. My holiday decor is mostly cream, gold, and green and has lots of different textures. 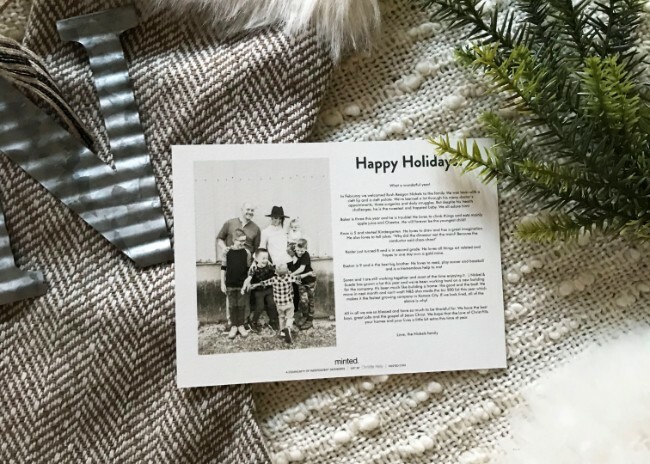 I took cues from my holiday decor to choose a simple and pretty card design that looks and feels like our family. When our friends and family receive their cards- they will get a little piece of us in their home. They'll even get a glimpse of the newest classic car to join our family! 2. Tell Your Story. As much as I enjoyed designing the front, I loved writing our story on the back almost as much! 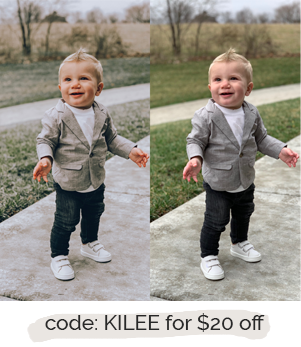 Minted has so many different layout options and ways to tell your family's story in pictures or in words. I included a little letter on the back of our card and took a minute to tell all of our friends and family a quick update about each of us. It made it more personal and shares a little more with our family than just a pretty card. Hopefully none of my real friends and family are reading this, or this will spoil their cards... but here is what I wrote in our cards this year. In February we welcomed Rush Reagan Nickels to our family. He was born with a cleft lip and a cleft palate. We've learned a lot through his many doctor’s appointments, three surgeries and daily struggles. Despite his health challenges, he is the sweetest and happiest baby. We all adore him! Baker is three this year and he is trouble! He loves to climb things and eats mainly apple juice and Cheetos. He will forever be the youngest child! Knox is 5 and started Kindergarten. He loves to draw and has a great imagination. He also loves to tell jokes. "Why did the dinosaur eat the train? Because the conductor said choo-choo!" Kesler just turned 8 and is in second grade. He loves all things art related and hopes to one day own a gold mine. Easton is 9 and is the best big brother. He loves to read, play soccer and baseball and is a tremendous help to me! Soren and I are still working together and most of the time enjoying it. :) Nickel & Suede has grown a lot this year and we've been working hard on a new building for the company. It's been much like building a home- the good and the bad! We move in next month and can't wait! N&S also made the Inc 500 list this year which makes it the fastest growing company in Kansas City. If we look tired, all of the above is why! All in all we are so blessed and have so much to be thankful for. We have the best boys, great jobs and the gospel of Jesus Christ. We hope that the love of Christ fills your homes and your lives a little bit extra this time of year. 3. Custom stamps. 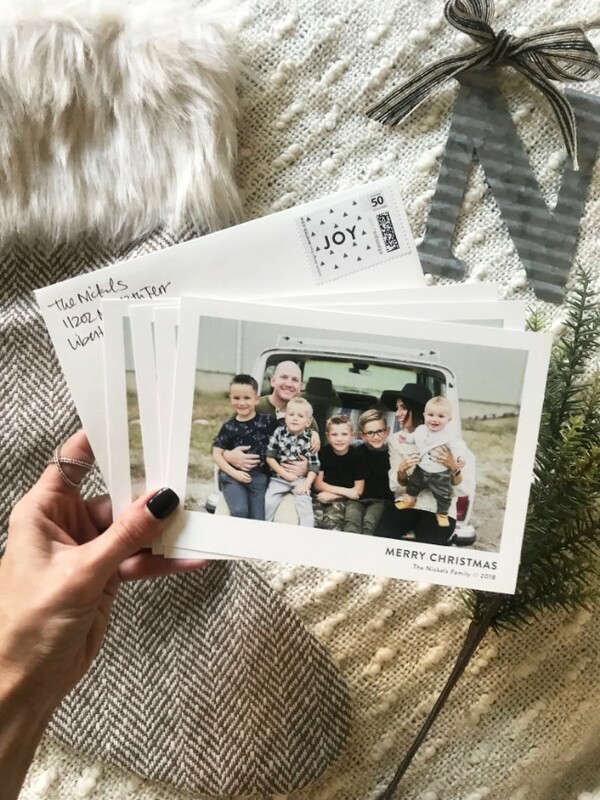 One of my most favorite things about ordering from Minted- besides their beautiful designs, is that I can order stamps to come with my cards! I ALWAYS forget to buy stamps and it's so frustrating. Minted has taken that issue off the table and I was able to just order as many stamps as I needed with my cards. Easy, peasy! They also provide beautiful matching envelopes with all of your cards. And you can customize those to if you prefer! And if that wasn't enough, they have a great Online Address Book feature where you can have Minted keep track of addresses and address your cards! We don't always send out Christmas cards, but I love receiving them, so I always have the best of intentions to send them. Sometimes I can and sometimes I can't get them done. 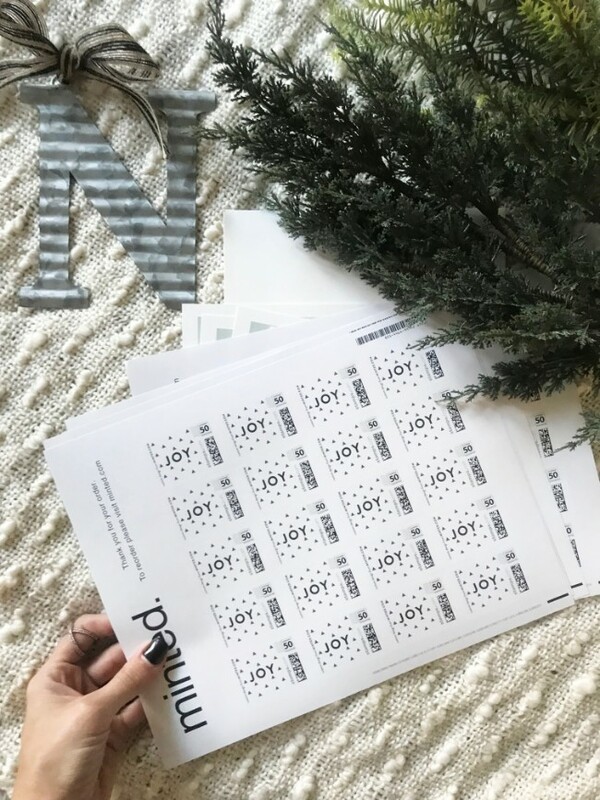 But with Minted's gorgeous designs (you can even text them to design your card for you) and their custom stamps and addressing service- sending cards has never been easier. And if you really can't mail cards this year, maybe just order a few to pass out with Christmas treats to neighbors and friends. They don't have to be mailed to count! Plus, I bet that if you are like me, you'll love looking back at those cards over the years too! Do you still send out holiday cards? Is this the year you are going to make it happen?